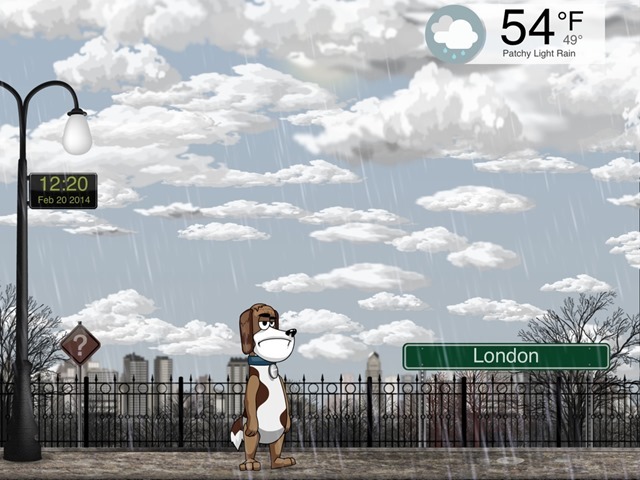 I couldn’t find a city yet with a thunderstorm to listen those sound effects, but I added London and it the jackpot for hearing rain pouring down. I love the Facebook sharing feature in the app – these are really fun images to post. 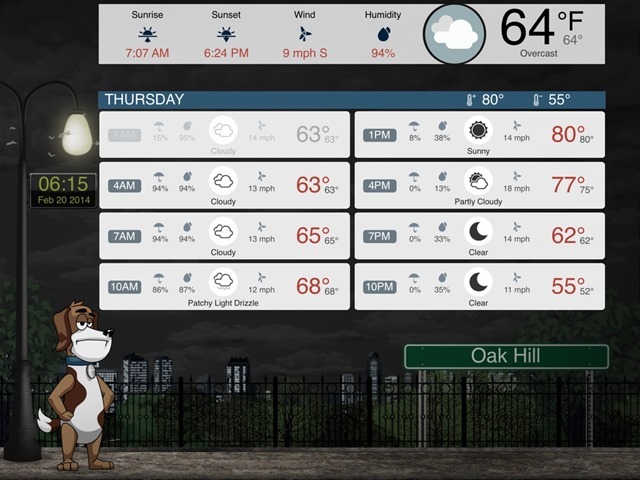 Weather Chum comes with one animated character, called Carl. You can add his canine sidekick, Twister, for 99 cents as an In-App purchase. This is obviously not the most comprehensive of iPad weather apps, but I think it’s got a solid argument for being the most fun iPad weather app. And certainly one that kids should appreciate. Kudos to the developer, Claude Turcot, for bringing a bit of fun to this app category. 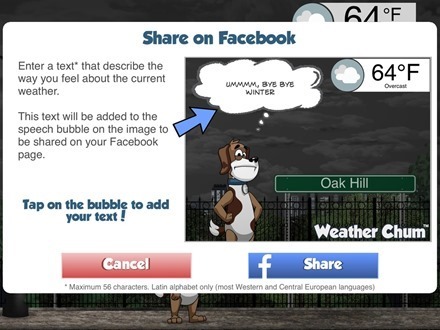 Here’s an App Store link for Weather Chum; it’s priced at $0.99 with an In-App purchase option as mentioned above. Disclosure: This app was independently purchased by the post author. Thank you for this very good review of our first application! Really appreciated!